This is a repost from three years ago. 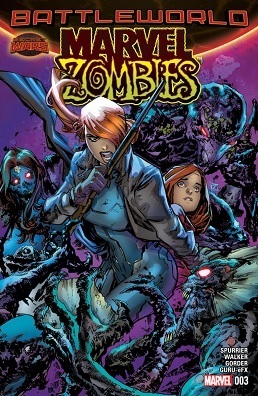 Marvel Zombies #3-4 - "Journey Into Misery: Episode 4"
Marvel Zombies #2-3 - "Journey Into Misery: Episode 3"
'One of the problems a lot of zombie stories face is the lack of agency on the part of the protagonists. That can be a really cool subversion of regular narrative dynamics (and, in one or two toxic cases it chooses to say a lot of very cynical thematic stuff about the pointlessness of individual resistance)… but quite often it’s also just laziness: the “story” consists of people screaming and flapping and running around in a really passive way. When the subtext of your zombie story is “hey, zombies are really scary – cool!” then just don’t bother, y’know? 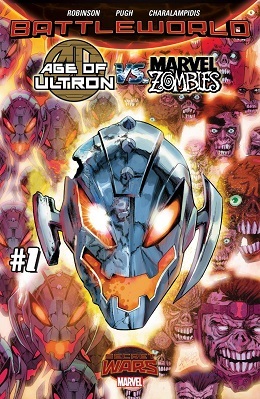 Marvel Zombies #1-2 - "Journey Into Misery: Episodes 1-2"
As requested by thehood , here is Marvel Zombies vs. 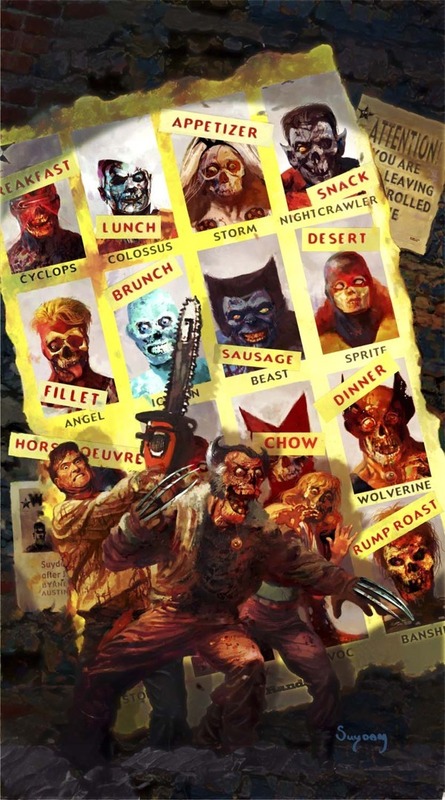 The Army of Darkness. 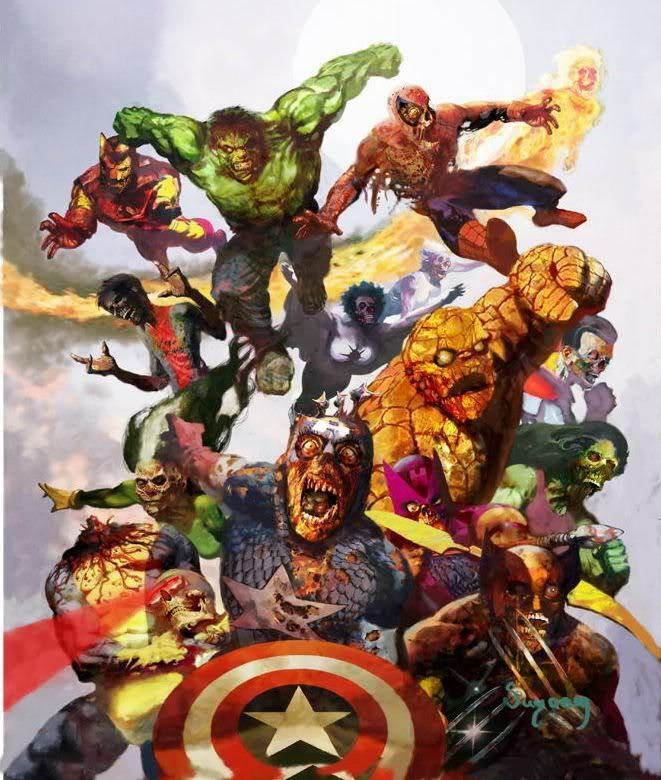 This one's more humorous than the other Marvel Zombie comics so even if you disliked them you might find this one appealing. 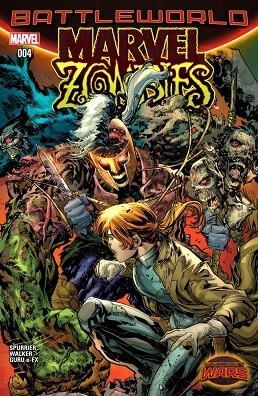 Dead Days was a double-sized one-shot that served as a prequel to the 'Marvel Zombies' saga showing the events that occurred before the Ultimate Fantastic Four storyline. Again, expect lots of zombie-related gore. 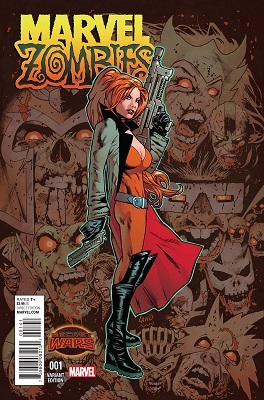 In light of the recent posts from history79 I figured I'd share the first 'Marvel Zombies' miniseries which branched off from 'Ultimate Fantastic Four'. 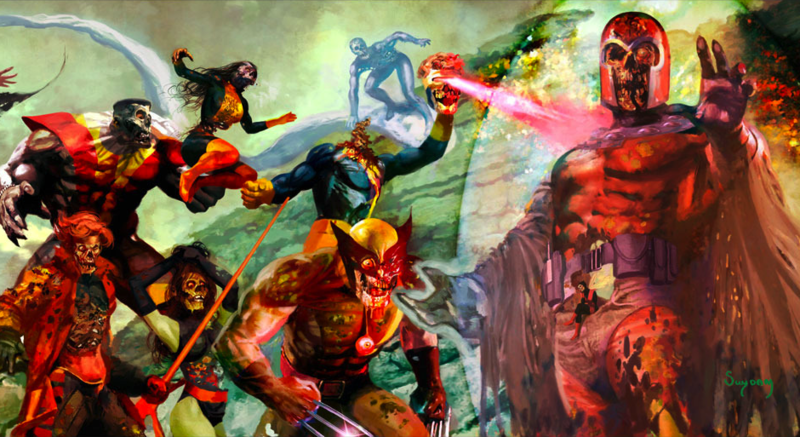 'Marvel Zombies' was a pretty fun idea at first. 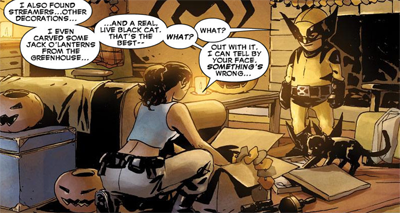 I think Marvel deserves some kudos for letting their characters be used in such a horrific fashion and Kirkman really went wild with the concept in ways that Millar did not. Plus they got to 'own' the term when prior Marvel Zombies was a pejorative term for Marvel fans. Of course, Marvel is as Marvel does and they ran the franchise into the ground. They've released five versions of the same hardcover with different covers for collectors. 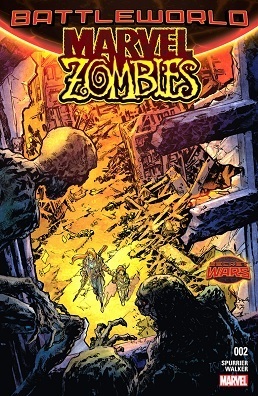 There have been over 50 issues at this point that feature the zombies in one form or another. 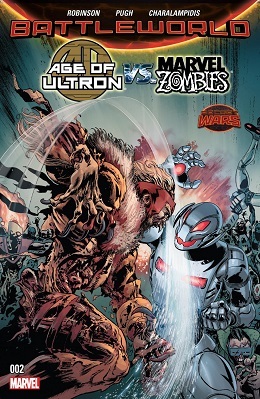 I think at one point there was a "Marvel Apes vs Marvel Zombies" miniseries to get an idea of how far it's gone. 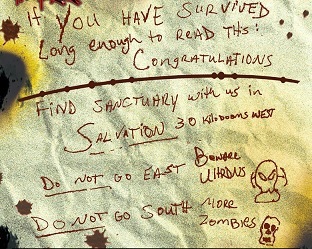 Disclaimer: The following story is very gory and features tons of zombie-related violence. But you didn't need me to tell you that, did you? I know it's after Halloween, but I wanted to post seven pages from this issue so I had to wait a little bit before posting it. In which the Jack in a Black Hand's Heart flush cashes out, and the others cash in. 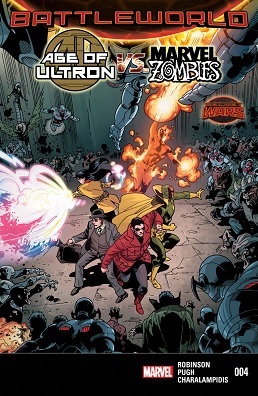 So Marvel Zombies Supreme's a five-issue series pitting a team of SHIELD agents (and Battlestar, because superhuman backup is superhuman backup) against clone Squadron Supreme zombies in Project PEGASUS's basement. It's competently but not spectacularly written; its first issue last week got a bit of a drubbing, mostly for being a Marvel Zombies series. Way way back, in prehistoric times (that is to say, about 6 months ago), several pages from Marvel Zombies 3 #1 were posted.... 2 things stood out enough to get a lot of comment - Zombie Deadpool was flippin' hilarious, and nobody was quite sure how getting covered in puree of Undeadpool failed to infect Jennifer Kale.